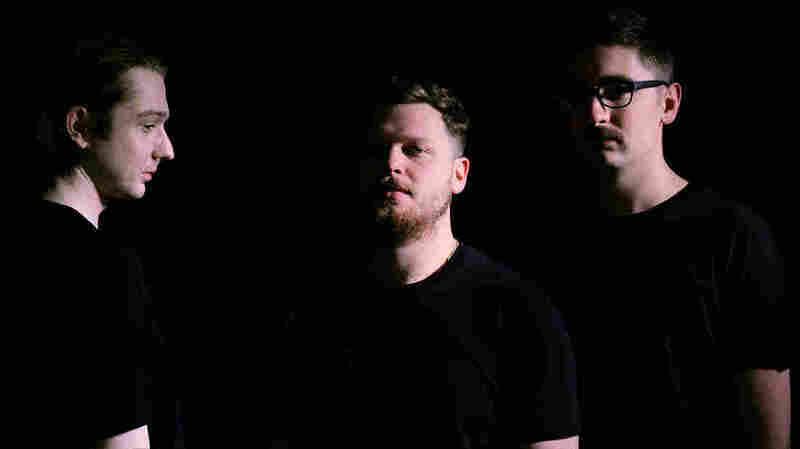 Hear alt-J Play 'Relaxer' Songs Live On World Cafe : World Cafe The band's sound is hard to pin down: It's somewhere between folk and electronica, the words sometimes poetry, sometimes prose. alt-J's new album, Relaxer, is out now. alt-J's sound is just as hard to pin down as the members themselves. It's somewhere between folk and electronica, the words sometimes poetry, sometimes prose — and often hard to understand, so alt-J clears up some misheard-lyric gems in this session. We also talk about the impostor syndrome the band felt when its 2012 debut album, An Awesome Wave, went platinum and won the U.K.'s prestigious Mercury Prize. You'll learn why the members of alt-J feel more comfortable being recognized in the U.S. than at home in the U.K., and hear performances of songs from the band's new album, Relaxer. Hear the complete session, recorded when the band stopped by World Cafe in April, in the player above.